This classic French egg dish makes an elegant brunch for Father’s Day. Béarnaise sauce is a variation of hollandaise sauce with the addition of a flavourful tarragon vinegar reduction. Fill saucepan with enough water to come 3 inches (8 cm) up side; stir in vinegar and bring to gentle simmer. 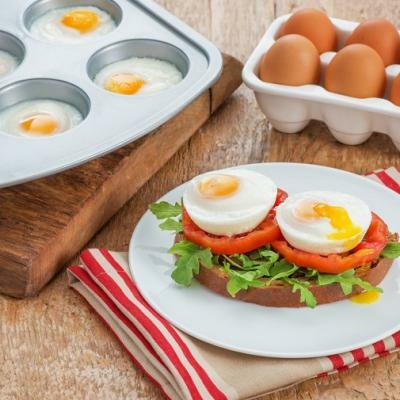 Break cold egg into small dish or saucer. Holding dish just above simmering water, slip egg into water. Repeat with remaining eggs. Cook, in barely simmering water, for 3 to 5 minutes or until whites are set and yolks are cooked as desired. 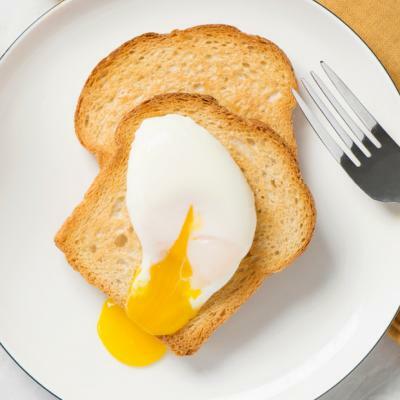 Remove eggs with slotted spoon; drain well on paper towel. Béarnaise Sauce: In small saucepan, cook white wine vinegar, wine, half of the tarragon and peppercorns over medium-high heat for 3 to 5 minutes or until reduced to 1 tbsp (15 mL). Strain and set aside. In small saucepan, heat butter over medium-high heat until melted and bubbling. Meanwhile, combine egg yolks, tarragon mixture, lemon juice and Dijon mustard in blender; purée until smooth. With motor running, pour bubbling butter into blender. Season with salt and pepper to taste. Stir in remaining tarragon. 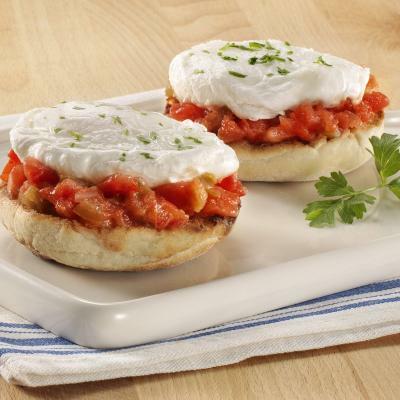 Place two English muffin halves on each of four plates. 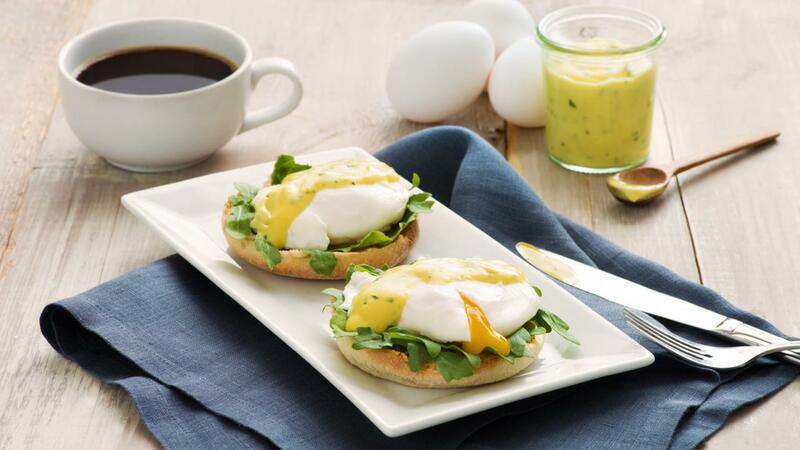 Top each muffin with arugula, poached egg and Bearnaise sauce. Serve immediately. Tip: For an even more decadent Father’s Day brunch, serve poached eggs over steak.